The Kingdom of Saudi Arabia receives hundreds of thousands of visitors each year, but few enter as tourists. This conservative country connecting Africa and mainland Asia contains the spiritual centre of the Islamic world, Mecca, and the sacred city of Medina, making most of the visitors are pilgrims, permitted on special religious visas. Others come to this oil-rich nation on sponsored business trips, generally finding little time or facility for leisure and pleasure. Saudi Arabia is intent on keeping its traditions, culture, and religious heritage from prying western eyes. Its cities, however, are not backwaters but modern and bustling centres which can be thoroughly enjoyed by those who visit the country. 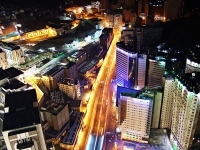 The Royal capital, Riyadh, offers a multitude of sights to see and explore. The historical city of Jeddah is also a popular spot where people can enjoy a unique seaside experience alongside the locals who often frequent it for a break-away. If looking for leisure, with the right amount of research, it can be found in Saudi Arabia. Occupying most of the Arabian Peninsula, and bordered by no fewer than eight Middle-Eastern states, Saudi Arabia manages its highly-controlled religious society alongside the onslaught of modernity through the oil-boom industry. It must be noted that the kingdom's strategic position both geographically and culturally at the centre of the Arab world has made it a potentially very unsafe place for westerners, and those who do visit are advised to plan thoroughly and be fully informed. If informed, Saudi Arabia can make for a memorable, cultural, and unique holiday experience.